Can video games cause addiction? Our specialist Tamás Kiss was a guest in a discussion programme on Hungarian public television channel M1. 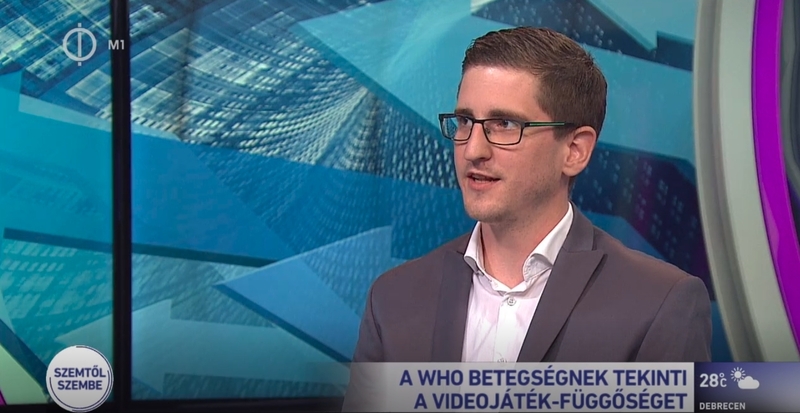 Tamás Kiss psychologist, a specialist at Esport Universum was a guest in a discussion programme on Hungarian public television channel M1. The topic was video game addiction that WHO intends to classify as a distinct mental disorder in the International Classification of Diseases (ICD). This is a category which has included only gambling addiction so far. The other guest of the programme was Orsolya Király psychologist, member of ELTE Institute of Psychology. The focus of the discussion was that according to supporters of WHO’s plan, video game addiction is indeed a real thing, as those who suffer from it are unable to stop gaming even if it has a negative influence on their lives. Orsolya Király argued for regarding this addiction as a real problem to deal with, either from the aspect of prevention or possible treatments. Tamás Kiss added that this could easily lead to the demonization of the video game industry. 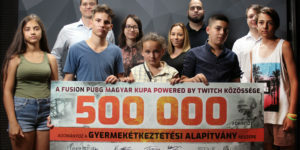 “Extremes in video game usage certainly exist, and it would be a great help in diagnosing this kind of abuse if psychology recognized it as a real illness” – Esport Universum’s specialist said. 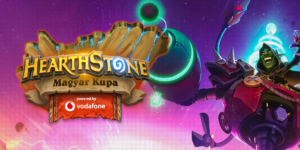 Are professional esports players addicts? 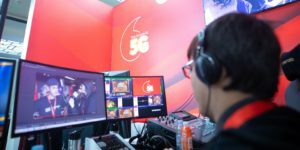 During the discussion also emerged the question of whether, in the case of professional players, the several hours of practice could mean an addiction or not. According to Tamás Kiss, the answer should be “no”, as esports pros could spend up to 12 hours a day with video games in a controlled and well-organized environment, where game analysis is also part of this process. The two guests agreed on the fact that this problem could be one of the greatest challenges of the 21st century. The specialists also added, however, that family background is a key factor in becoming a game addict or not, as children should learn that there are many other pleasant activities in the world, not just video games.